You are here: Home / PORTFOLIO INTRO TEMPLATE / Visible U. 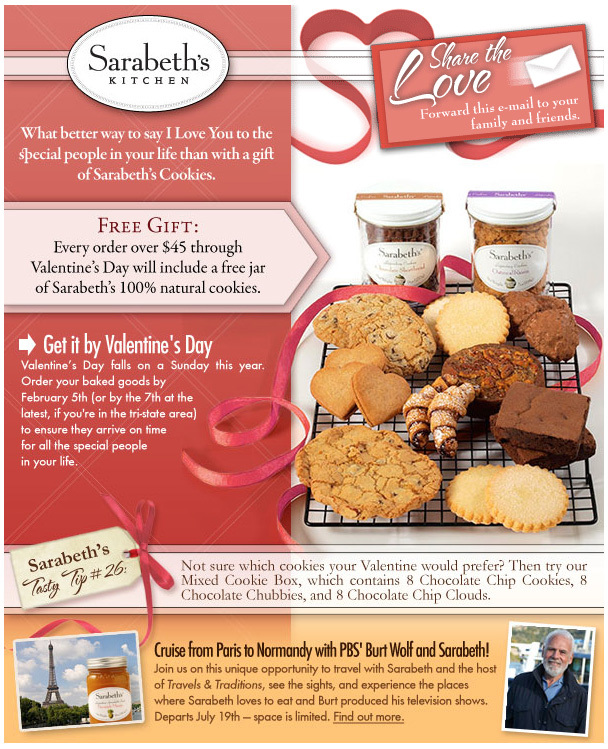 We worked with Visible U. on their monthly e-mail campaign for Sarabeth’s Kitchen, promoting the delicious preserves and baked goods of this award-winning gourmet bakery and restaurant. Our minimal copy and clever subject lines complement the striking (and often humorous) visuals, and we’ve helped the client significantly increase their online sales.